South Korea’s Ministry of Unification on Tuesday said that reunion of families separated by the 1950-53 Korean War will be top of the agenda for the Red Cross talks scheduled this Friday. It is also expected to exchange delegation rosters with North Korea ahead of the talks, which will be held at the North’s Kumgangsan, a ministry official said. The official told The Korea Herald that rosters are likely to be exchanged by Wednesday. The official declined to give a direct answer to whether humanitarian issues such as the release of six South Koreans held in the North will be on the agenda, saying the issue must be understood in terms of implementing the agreements reached at the inter-Korean summit on April 27. Unlike the three American prisoners who were released with US Secretary of State Mike Pompeo’s visit to Pyongyang last month, the fate of the South Koreans held in captivity remain murky. During a high-level meeting on June 1, the two Koreas agreed to hold Red Cross talks to revive the reunion of separated families. The last such reunion event was in 2015. South Korea is expected to continue negotiations for the reunion event, as the advanced age of separated family members has government officials and politicians calling for urgent action. The Korean Red Cross said it is working with the Ministry of Unification, but declined to give further details due to sensitivity of the issues. “We are cooperating with the Unification Ministry on the matter,” Kim Ok-hee, a public relations manager for the Korean Red Cross told The Korea Herald. South Korea has been calling for an urgent revival of the reunion event since last year. The North, however, had earlier demanded the repatriation of 12 female North Koreans who had worked at a restaurant in China and came to the South in 2016 as a condition for the resumption of the event. Whether Pyongyang will continue to push it as a precondition is unknown. 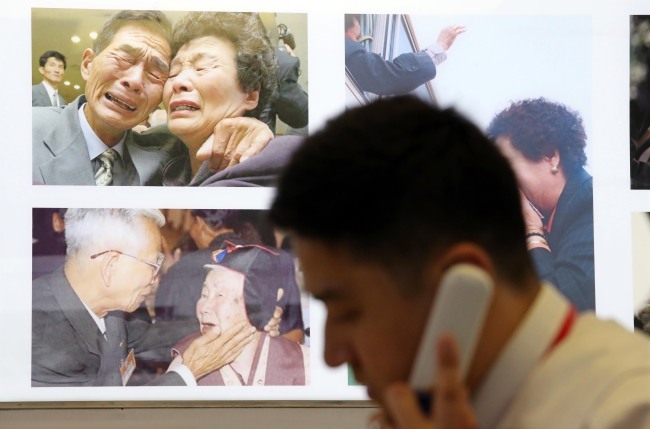 About 55 percent of an estimated 131,530 South Koreans on the waiting list for reunions have died as of the end of March, according to government data.